Found your blog and am so glad that I did. 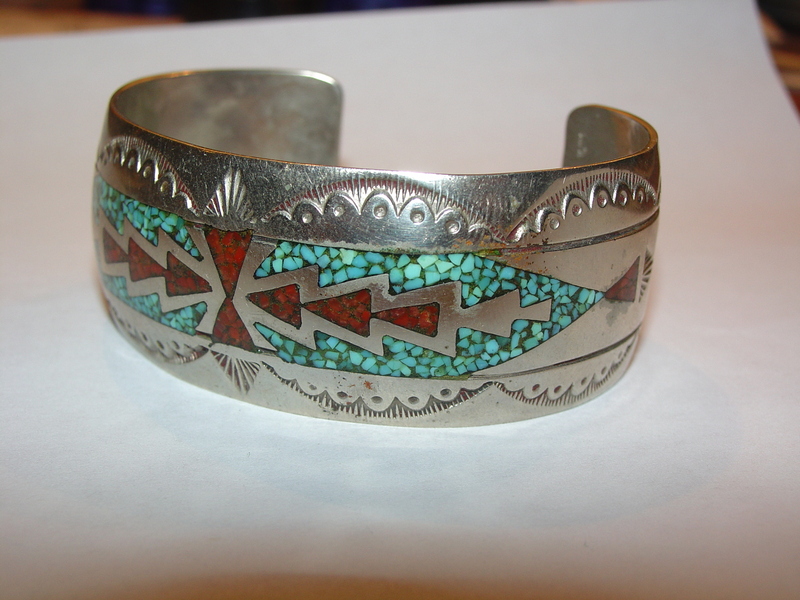 I have a large silver, turquoise and coral cuff bracelet that I purchased in Santa Fe a little over 40 years ago. 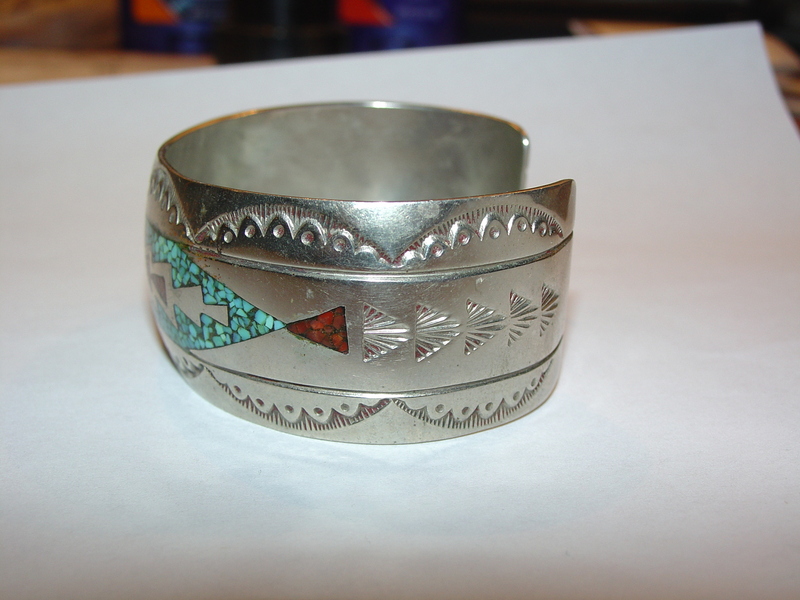 The bracelet is 1 5/8 inches wide and has a rather unique double badger claw design on each side. Inside is a hallmark that is a backward F joined to a K.
I have been unable to find any reference to this hallmark and am hopeful that you or one of your readers can help. 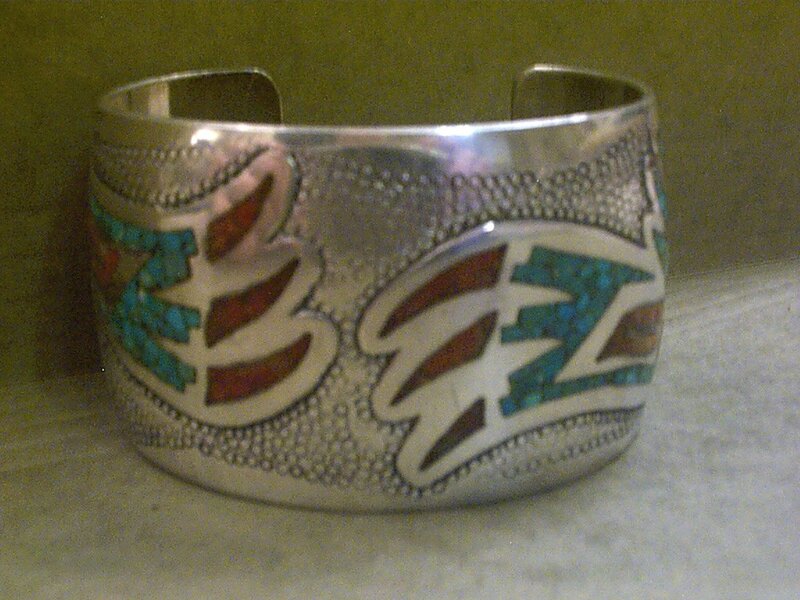 What a unique chip inlay design on your bracelet ! I’m not sure I would have seen badger paws. 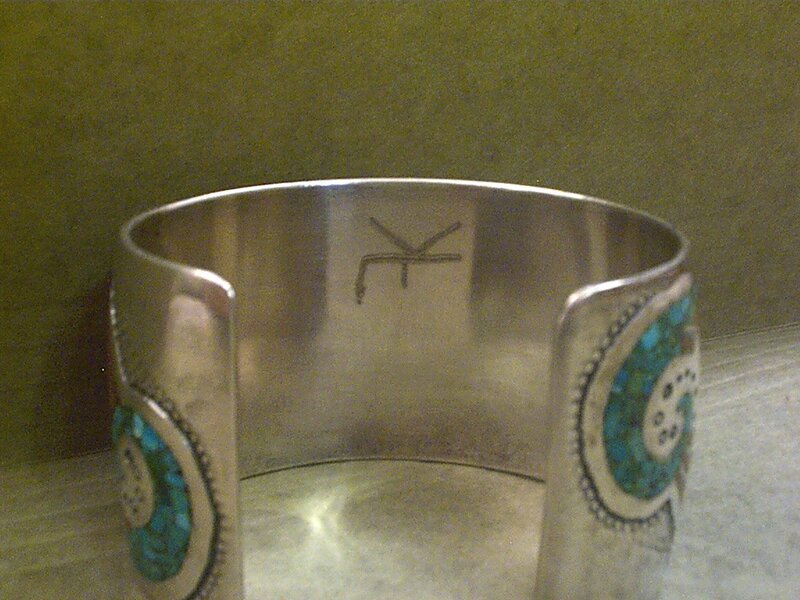 I don’t recognize the hallmark so looked up chisel cut initials FK and KF and really came up empty. So perhaps someone else might know. 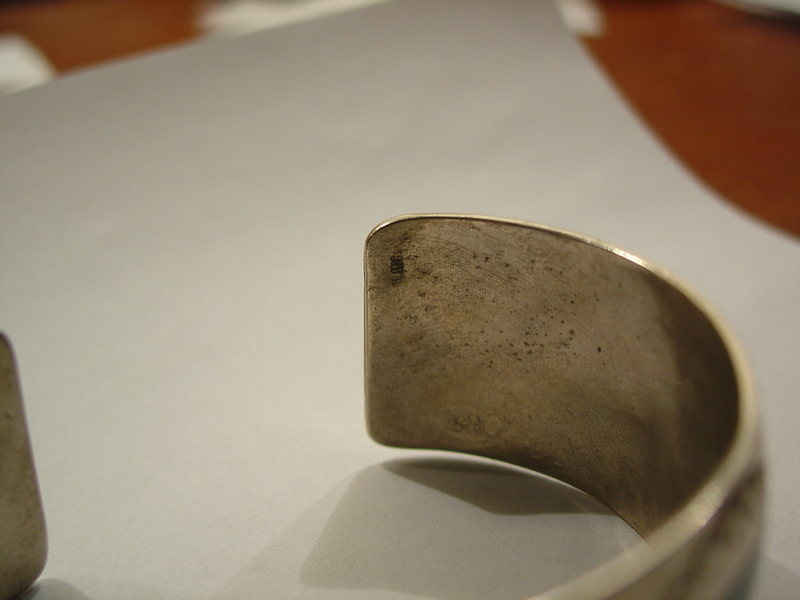 I did find a Blackfoot jeweler who chisel cut his initials in a very similar fashion but I couldn’t make the combination of letters work. 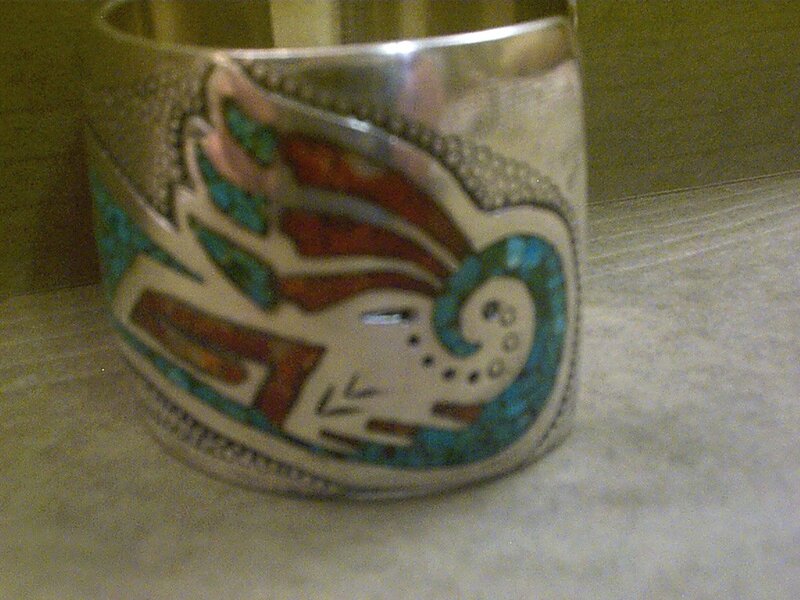 But Santa Fe + chip inlay, we’d be looking for a Navajo artist anyway.